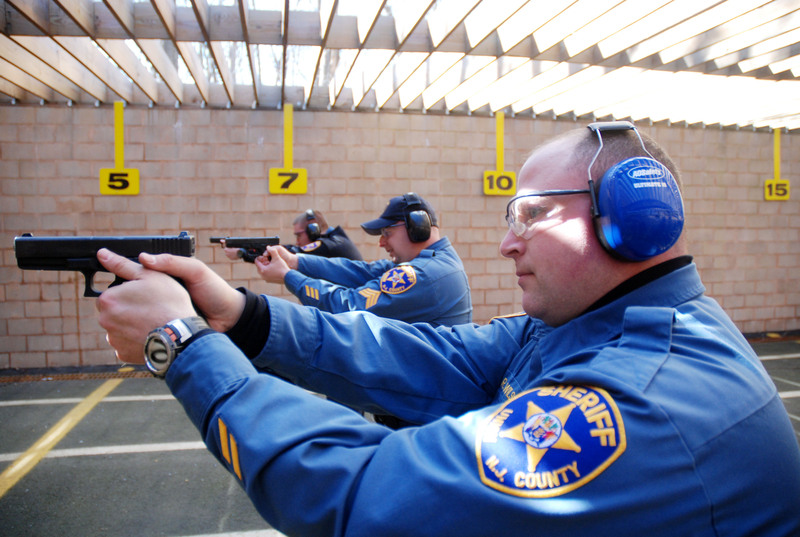 Shooters are required to attend a Range safety/orientation course prior to utilizing the Sheriff’s Range. See below the schedule for more information about the course. The Firearms Training Facility will be open to the public from 12 pm to 5 pm on scheduled Sundays only. A valid NJ Firearms Identification Card and a valid form of photo identification are required to attend the course and must be presented prior to entry. To make an appointment for next available the Range Safety/Orientation course, please contact the Rangemaster, Officer Kevin Sargent, at 908-273-1129 between the hours of 9am to 3pm. Courses are scheduled on an as-needed basis. After successful completion of the Range Safety/Orientation course, range ID/access cards will be available by appointment for pick up at the Union County Sheriff’s Control Center located at 2 Broad Street (Rotunda Building – Basement), Elizabeth, NJ 07202. Please contact the Sheriff’s Control Center at (908)527-4443 to schedule an appointment for the range ID/access card, and provide a full name and call back number if leaving a message. Renewal stickers may be obtained at the range facility from 9 a.m. to 2 p.m. on weekdays, or on any open Sunday range date. Additional Range Officers will be available in the month of March to assist in processing renewals during the open Sunday dates. To obtain the yearly renewal sticker, a current New Jersey Firearms ID card along with a current driver’s license or acceptable form of identification must be presented to the Range Officer at the time of renewal. Juveniles that have attended the range orientation and have not turned 18 years old do not have to be present to obtain the renewal sticker. Check, Cash or Money Order Accepted. Credit cards are not accepted. Make check or money order payable to: Union County Treasurer. Please leave a clear message including both a reason and a call back number in the event a Range Officer is not available.